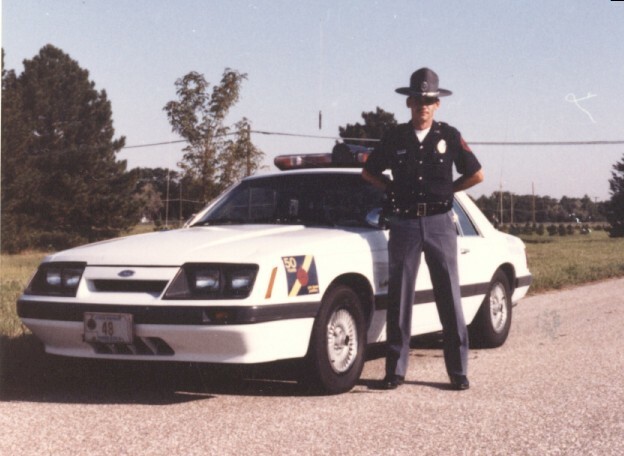 1985 Nebraska Mustang, unit #48. This is an automatic car, running the 14 inch wheels used from '82-'84 (with full wheel covers). 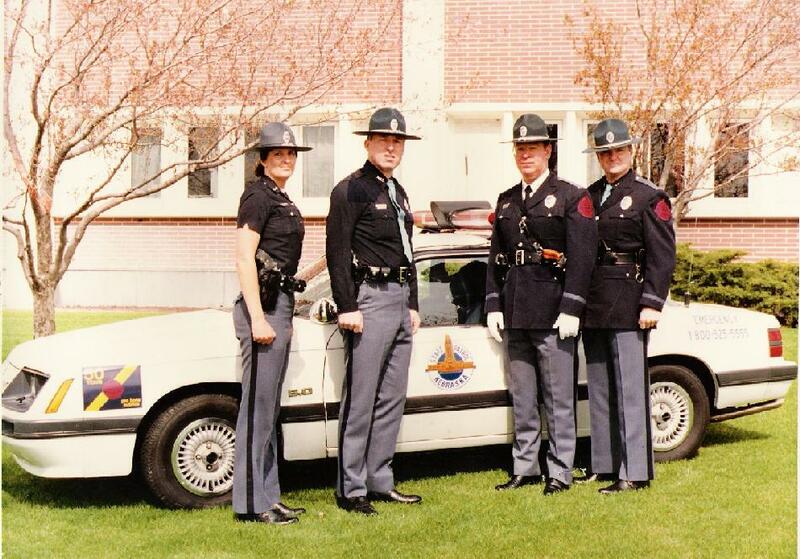 Another nice shot of an '85. E. Prince Photo. 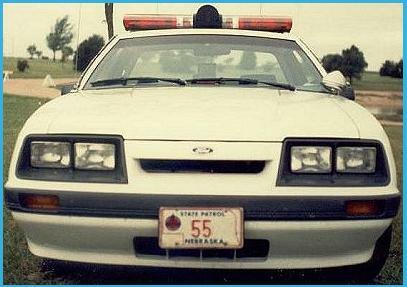 Front shot of an '85 or'86 NE Mustang, unit #55. Monty McCord Photo. 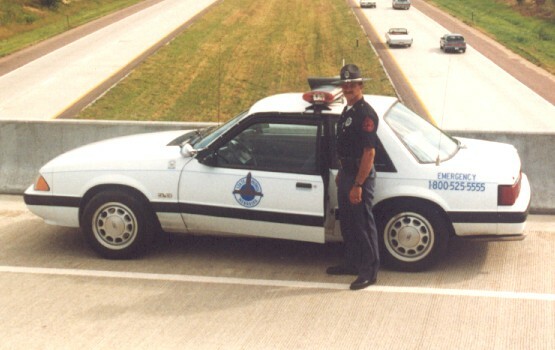 1987-1989 NE Mustang. This one still has red/red inserts in the Jetsonic lightbar. NE cars have also been seen with red/blue inserts. 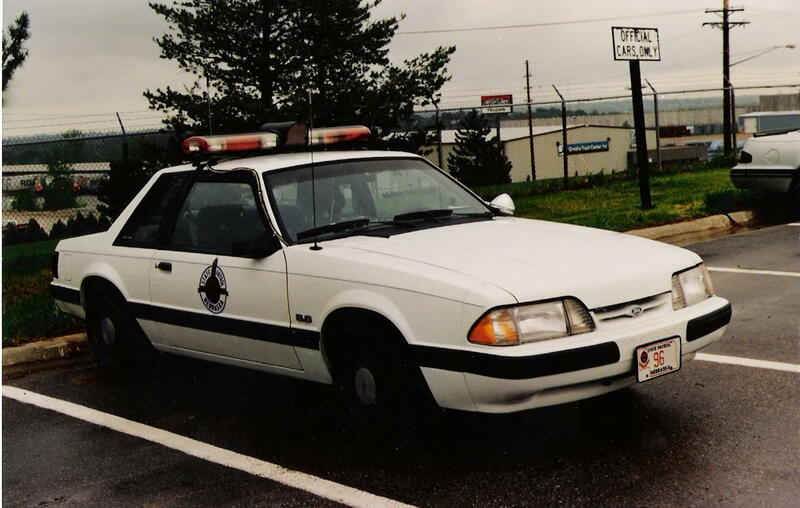 1990-1991 NE Mustang. This one has red/blue inserts. 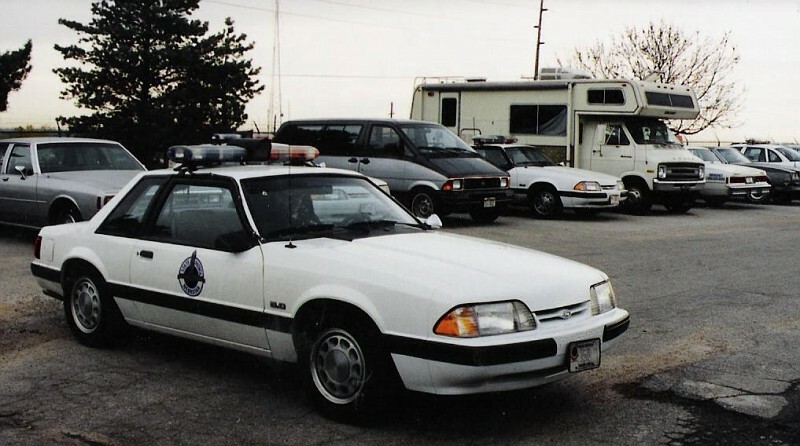 There are several other Mustangs in the background, with different lightbars. E. Prince Photo. 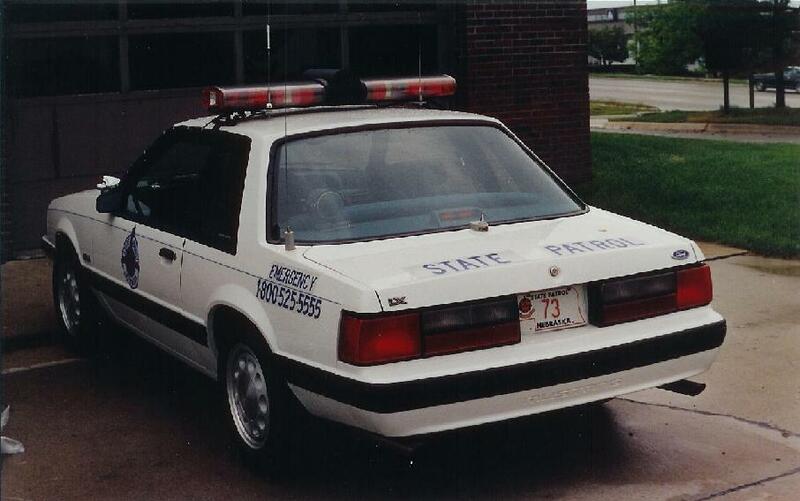 Rear shot of another '90-'91 car, unit #73, but this one looks like it's red/red. The rear radar antenna looks like an older, K-55. This one has mounts on the Jet for antennas, as well as an NMO in the quarter and another, lip-mount. 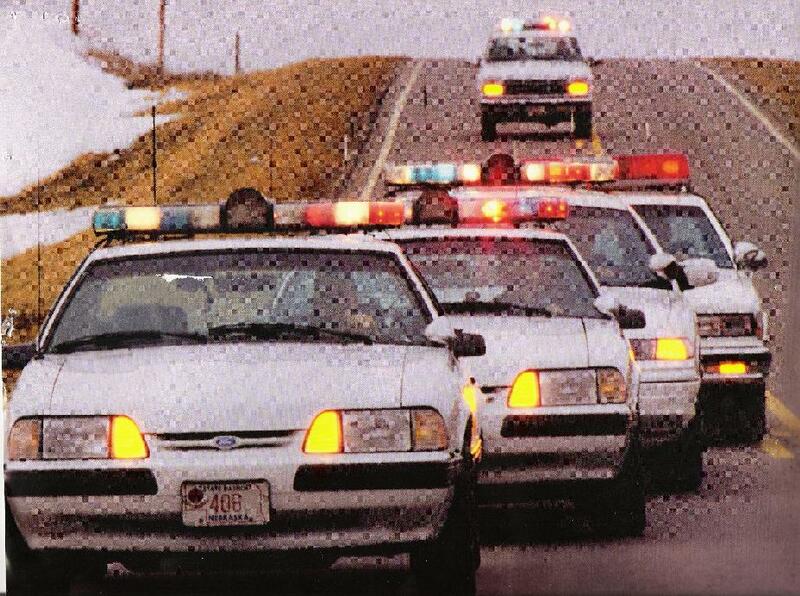 Nice shot...lineup of NE patrol cars. E. Prince Photo.